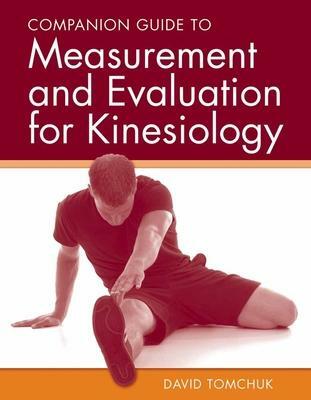 Companion Guide to Measurement and Evaluation for Kinesiology serves as a reference for how to set-up, perform, and administer an array of physical performance field tests. This practical guide is organized by the type of physical parameter to be tested, and allows readers to quickly determine the population for each physical test, what equipment is needed, how many assistants are required, how to set-up and administer the test, and how to score the test. Several pictures or drawings are included to help explain how the administrator should conduct the tests. This resource is perfect for both the classroom and the professional world.